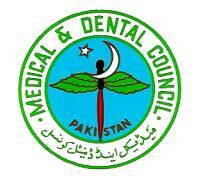 Pakistan Medical and Dental Council (PM&DC) is a statutory regulatory authority established under Pakistan Medical & Dental Council Ordinance 1962 as a body corporate. It is known and respected worldwide and is part of international community of medical regulatory authorities (IAMRA). Pakistani doctors are considered one of the best and are doing meritorious service in all parts of the world and that is a testimony to the effective regulation of medical education being done by the PM&DC. No Pakistani Doctor can practice in Pakistan or abroad without being registered with PM&DC or without being in goodstanding with it.